I get the sense from talking to many families and a lot of lawyers too, that most people are confused by trusts and aren’t sure whether they need to use trusts in estate planning. Depending on who you ask, you will typically get a different answer. So for purposes of today’s post, I want a step back and discuss what exactly a trust is, and then we’ll take a look at some of the reasons you may or may not want to use a trust when crafting your estate plan. How do you create a Trust? What “Stuff” can you put into a Trust? Can you take your stuff out of the Trust if you change your mind or your estate plan? Aren’t Trusts only for the Ultra-Wealthy families? In it’s simplest form, a trust is a contract. There are three main parties to a trust agreement. The first is the grantor (also sometimes called the “settlor”), the second is the trustee, and the third is the beneficiary. The grantor is the person who forms the trust and gives property to the trustee to hold and manage for the benefit of the beneficiary. As mentioned above, a trust is a contract. The main contract that forms the trust is called the “trust document”. The trust document spells out the rules of how the trust can be managed, what the trustee can and can’t do, what happens if the trustee can no longer manage the trust, etc. Trusts are governed by state law. In North Carolina the statute is called the North Carolina Uniform Trust Code. That’s the good news! You can put pretty much anything into the trust that you want, and if you are utilizing a trust-based estate plan, that is exactly what you should do. This is called “funding” your estate plan. You will have your home and any other real estate re-titled into the name of the trust. The same with your vehicles, bank accounts, investment accounts, etc. For any retirement accounts (i.e. 401k, IRA, etc. ), you will change the beneficiaries to either your spouse as primary and the trust as contingent, or just name the trust as the primary beneficiary. That depends on the type of trust you have drafted. Most people use a type of trust known as a revocable living trust. Because it is called “revocable”, you may remove your property from it at anytime. However, once you die, the trust becomes “irrevocable” and cannot be changed. A second type of trust is an “irrevocable” trust. 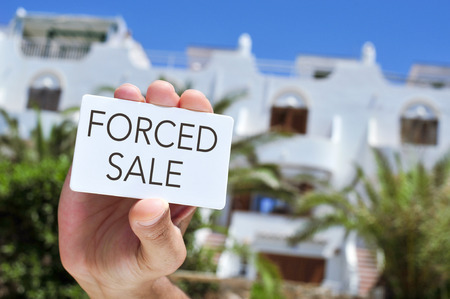 You may not remove property once it has been placed into an irrevocable trust. The reason for this is that an irrevocable trust comes with special tax and planning benefits that you obtain in exchange for making this type of trust. Trusts are a great estate planning tool for many young families in the Triangle and throughout the state. I realize that many people think that trusts are only for the wealthy, but they couldn’t be more wrong. Control. One of the biggest reasons that I prefer using a trust in my own estate plan is the level of control I receive over the assets that are placed in the trust. I can control how the trust is managed, and when my children would get access to the trust assets. Without a trust in place, minors would have any assets they receive as an inheritance managed by the courts, and young adults would receive the money outright. Neither of those choices are a good option for many families. Privacy. Trusts are completely private. That means that nobody, except for your attorney and the trustee you have chosen to manage your trust, would know how much money your children received or if they received any funds at all. Compare this to a will based plan in which your entire estate is a public record. Protection from Creditors. Believe it or not, there are companies that literally stake out the probate courts to see who died and determine whether any of the heirs owe their company money. And on the flip side, there are companies that are looking to find young, unsuspecting minds who receive large sums of money and prey on them in an effort to separate those young adults from their new wealth. A trust can keep your children’s inheritance private, and if structured correctly, can also protect the assets from your child’s creditors. Simplified Administration. 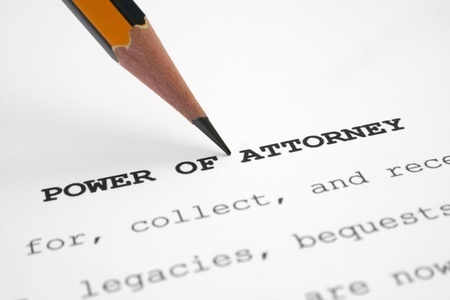 When a will goes through probate, it is a very public process that can be expensive and take a long time to complete. I learned this first hand when dealing with my Mother’s estate. Alternatively, if you have a trust in place, then the entire process is handled in your lawyer’s office in private. Although there are still some costs associated with administering a trust, they are far less, and far simpler than managing a probate estate through the court system. Access to Funds. One of the great benefits of a properly funded revocable living trust is that it not only provides you a level of protection if you were to pass away, but it also provides a mechanism to access funds or manage your property should you become temporarily or permanently incapacitated. This is a benefit that a will-based plan does not provide. Protection from Divorce. As a practicing family law attorney for many years, I’ve seen first hand how easy it is for a divorcing spouse to attempt to divide up inherited funds. Even though these funds are considered separate property under the law, many individuals improperly commingle these funds or use them to purchase jointly owned real estate that will change the character of the asset. With a trust based plan, you can protect your children (or your spouse) from losing trust assets in a divorce proceeding. Continuity. If you own real estate or have a business interest, using a trust in your estate plan is a no brainer. A trust will allow your loved ones to quickly and easily manage that asset without requiring prior court approval. Ease of Use. Trusts are easy to set up and manage. They can be quickly and easily amended and are valid in all fifty states, making them highly portable. 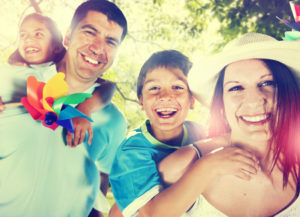 There are many benefits to using a trust in your estate plan, and very few drawbacks. Whether you own real estate, have life insurance, have minor children, have significant assets, or any combination thereof, you should talk to a lawyer about having a trust drawn up that can protect you and your family from the unexpected.